Rectangular end fits over grill neck. 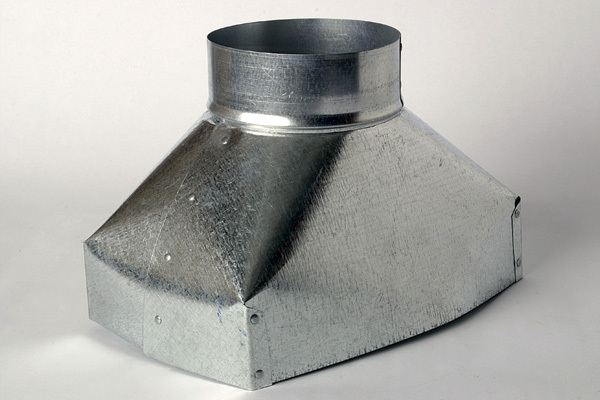 Round collar is oversized with a bead to accept pipe or flexible duct. RTR: Plain rectangular to round adapter. RTR-24: Rectangular to round adapter 24 gauge. RTR-F: Rectangular to round adapter with flange.